'Scratched out'? Take Your Class to the Next Level. Let's Start Coding kits are the perfect next step for teachers and students who have already experienced Scratch and Hour of Code. Typed code gets students familiar with what 'real code' looks like. Hands-on projects keep students engaged and excited. Free Teacher Resources, Guides, Lesson Plans, and Standards Connections. Educator resources include 14 step-by-step lessons, lesson plan framework, and ties to national standards. Create a set of activities to last an hour, a day, or a semester. Pair students up or get a kit for each. 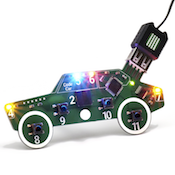 For around $40 per kit, you can get students started with over 30 projects that will inspire them to learn more about programming and computer science. All of our resources reference the Lesson Plans : 14 structured lessons that can provide over a semester of code learning for your classroom. 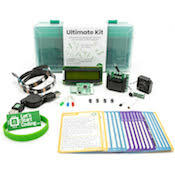 Along with the Learn pages and a Base Kit, you'll have everything you need to start coding at your school, camp, or club. Fill out your information below to get the free resources. Need a quote for your classroom? 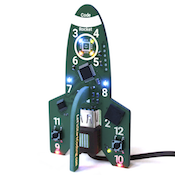 Want advice on how to fit our kits into your classroom? Our team is here to help. Thank you! We'll be in touch with you within 3 business days.